This is the next in the series of blog posts on research into applying ICTs to the data capture element of land registration. The previous blog post was titled: A Short Note on Land Laws in Kenya. While the previous blog post briefly describes the classification of land in Kenya according to the new constitution, the following posts will focus on practical ways of registering and acquiring titles to land in Kenya. In our research and work, we were specifically interested in the processes of land adjudication, land registration, registration of community land, registration of private surveyed land and registration and transfer of private un-surveyed land, and the process of land demarcation. There are various ways to acquire title to land and they include: allocation; land adjudication process; compulsory acquisition; prescription; settlement programs; transmissions; transfers; long-term leases exceeding 21 years created out of private land; or any other manner prescribed in an Act of Parliament. 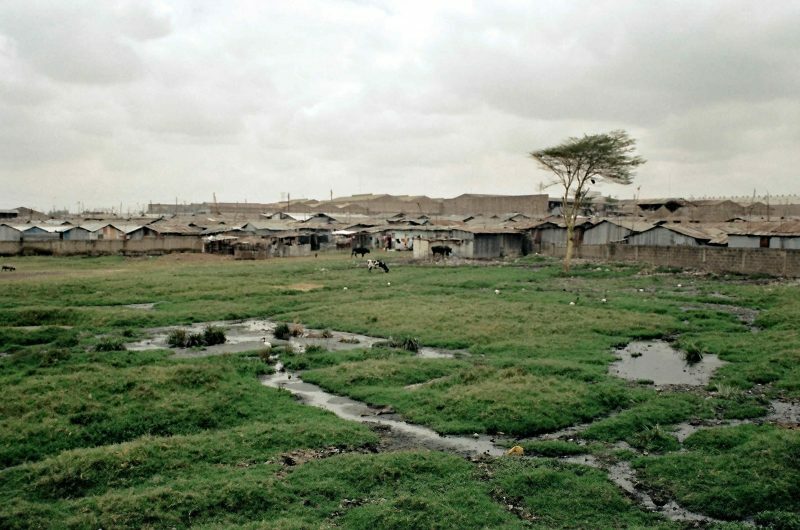 The Constitution of Kenya acknowledges the existence of Community Land, however, as of now, the unregistered Community Land is held in trust by the County Governments on behalf of communities. Land Adjudication is “the process of final and authoritative determination of the existing rights and claims of people to land.” In Kenya, the Land Adjudication Act provides the guidelines for the land adjudication process. These involve determining and recording of rights and interests of individuals residing on registered Community Land for the purpose of facilitating the registration of titles. 1. A formal written petition is delivered to the Commissioner of Lands with a request to have an area earmarked for adjudication. This petition is copied to the County Commissioner. 2. Land Adjudication Board convenes at the Ministry of Lands to deliberate and approve the adjudication petition. 3. A directive is issued to the Department of Survey based on the results of the Board deliberations to visit the site, conduct reconnaissance of the terrain, and give recommendations. 4. The reconnaissance mission provides its professional recommendations to the Land Adjudication Board for consideration. 5. Based on these recommendations, the Board deliberates and, if satisfied, approves the adjudication request. 6. The Survey Department proceeds to formally survey the areas earmarked for adjudication (adjudication areas). i. Landowners in presence of Land Adjudication Officers identify their land boundaries. ii. The boundaries are demarcated by Adjudication officers using enlarged aerial photographs, ground survey methods or both. iii. Land adjudication committees are set-up to ascertain and arbitrate rights and interests in the land. 7. After the survey work is complete, the Survey Department generates a Registry Index Map (RIM) of the area and a Land Adjudication register which contains parcel numbers, the name of the owner, size of land and a map sheet number. 8. The map is given to the Ministry of Lands which issues Land Reference Numbers (L.R. Numbers). 9. These, together with the Map of the area are returned to the community for public examination. If all parties agree, the Director of Land Adjudication signs a certificate of finality and the L.R. Numbers are issued to individuals. The next blog post will focus on the process of land registration, specifically on registration of Community Land. Section 7 of the Land Act of 2012.